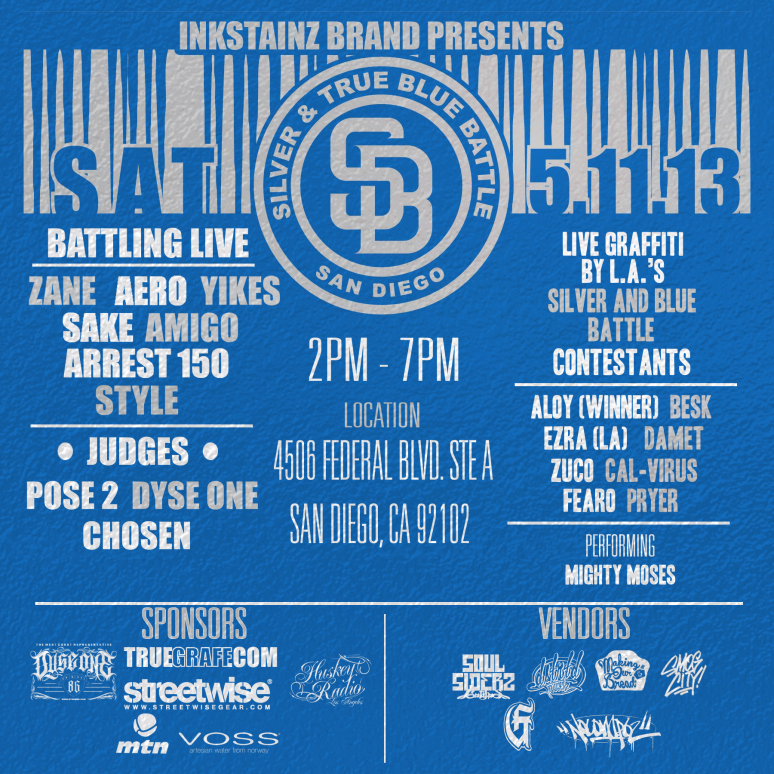 So finally Inkstainz reveals who will be part of the Silver and True Blue Battle San Diego! And the line up looks ill! Zane, Aero, Yikes, Sake, Amigo, Arrest 150 & Style will be battling for the title this time around. And I am doing it again, will be posted up at my booth with some really dope merchandise, art supplies, slappies, black- books, Art work from some of the contestants from the Los Angeles Battle as well as the first Winner of the Silver and True Blue Battle Los Angeles, Aloy SKA, MSK, FTL. Make sure you stop by and show your support!